Gemma Carvill, PhD, assistant professor of Neurology in the Division of Neurophysiology/Epilepsy, was awarded the NIH Director’s New Innovator Award for a project focused on identifying genetic and epigenetic variants in epilepsy. 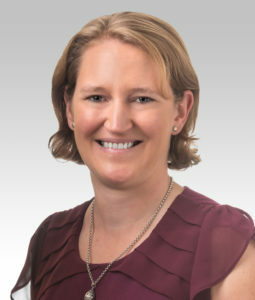 Gemma Carvill, PhD, assistant professor of Neurology in the Division of Neurophysiology/Epilepsy, has been named a recipient of a New Innovator Award from the National Institutes of Health (NIH). The prestigious award, part of the NIH Common Fund’s High-Risk, High-Reward Research program, supports early career investigators to pursue innovative research that while high-risk, has the potential to transform their field. The Carvill laboratory will receive a $1.5 million, five-year grant for a project that seeks to identify the genetic variants that can cause epilepsy. Epilepsy, one of the most common neurodevelopmental disorders, often has a genetic basis. Finding the genetic and epigenetic variations that cause epilepsy is a fundamental first step to identifying new therapies — and, ultimately, achieving personalized medicine for epilepsy, where treatment can be tailored to the genetic variants present in a patient. A subset of people with epilepsy are thought to carry a somatic mutation (a genetic variant that is present in only a subset of cells) that causes cellular changes resulting in epilepsy. However, because it is not possible to biopsy the affected tissue in the brain, identifying disease-causing genetic variants has remained challenging. Carvill’s project, “Cell-free DNA sequencing approaches to define the genetic etiology of unexplained epilepsy,” aims to determine whether cell-free DNA in cerebrospinal fluid and plasma can be used to identify neuronal-specific disease-associated variants in patients with epilepsy. Cell-free DNA (cfDNA) consist of short fragments of DNA that are released into various body fluids after cell death, which can be induced by seizures. In the future, cfDNA could also be applied to the study of other neurological disorders, such as Parkinson’s and Alzheimer’s disease. The NIH Director’s New Innovator Awards, established in 2007, support unusually innovative research from investigators who are within 10 years of their final degree or clinical residency and have not yet received a research project grant or equivalent NIH grant. Carvill is one of just 58 investigators in the country who received a New Innovator Award in 2018.